Close-out White Click Pens - No Minimum! 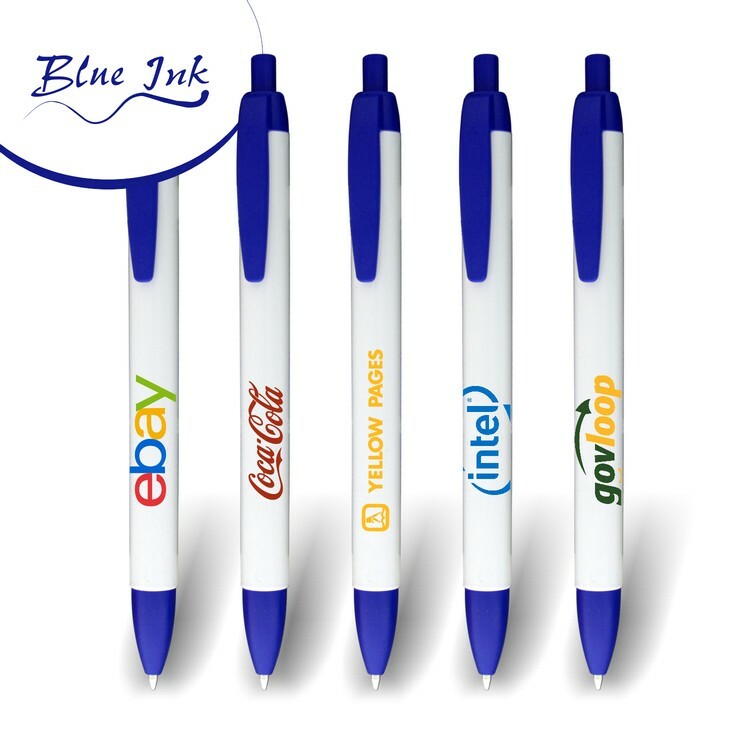 Union Printed, "Wide One" USA Made Clicker Ballpoint Pen, White Barrels with Blue Trim & "Blue Ink Refills." High Quality Close-out Giveaway Pen, Popular and Attractive. No Minimum, Maximum 500 Pens Per Order. Union Bug Available at No Charge! Note: This is a Closeout Item. Max. 500 Pcs. Per Order. • Imprint Area: 1.75" x .75"